Banknote sorter machine is one of the widely used machine in the financial industry. These are specialized machines designed to help users to sort out different denominations in a given a lot. Just like most of the machine, they come in different types and models designed to specific needs. Therefore, for those who may be planning to purchase new banknote sorter, you need to have these facts right. This is the typical banknote sorter machine that you can find in some of the small businesses that are not complicated. The working mechanism is very simple and basic. Once the machine detects unwanted notes in the lot, it stops until the unwanted banknote is removed. That simply means that the machine has most of its work done manually hence you need to babysit it. That simply means that working with this machine reduces work efficiency. The one pocket is used for sorting purposes only. It is not the most recommended for busy business. A 2-pocket machine is the advanced version of the 1 pocket model. Unlike the first model that requires the user to remove the unwanted bank note for the counting to continue, the 2 pocket has a reject pocket where these banknotes are sent. Therefore, it is the automated version of the 1 pocket model. It is super-efficient in that the user is input is not that much. It makes work easier especially if you have a ton of notes to count. 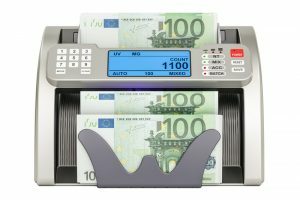 The 3 pocket banknote sorter can be said to be the most advanced so far. The model can do everything that the 2 pocket machine can do. With the added stacker pocket, the machine can easily separate banknotes into 2 categories at a time. For instance, you can do non-stop value counting. You can also do the fitness sorting very quickly with the same machines. These are the different application of the of the bank sort pockets. The three models are available in the market hence you can pick one with features that work for you.